State of Decay 2 Gets Release Date, Cheaper Price | Nerd Much? State of Decay 2 is getting the IGN First treatment as of today. And thanks to the collaboration, we have fresh details on the game including its release date and price point. Undead Labs’ survival zombie RPG will be hitting the Xbox One and Windows PC on May 22nd. The game is classified as a Play Anywhere title, meaning you can cross-save between your Xbox One and Windows PC. The game is also getting a discounted price from the AAA industry standard. State of Decay 2 will retail at $29.99 for the standard package. The Ultimate Edition will cost $49.99. The video above comes from IGN France and teases that IGN will publish gameplay footage from State of Decay 2 as of tomorrow, March 7th. The video embedded above includes a small portion of the footage we’ll be getting a hold of tomorrow. The game is to feature 4 player online co-op and build upon the formula from the initial game. Undead Labs converted the game over to Unreal Engine 4 after utilizing the CryEngine in the series’ first outing. State of Decay 2 will be the second first-party game coming from Microsoft over the span of a few months. Sea of Thieves is launching on March 20th. Both titles will be available to download for free for those that are subscribed to the Xbox Game Pass program. The game is one that Nerd Much has been highly anticipating since its announcement back in 2016. Undead Labs’ original State of Decay came in 12th on our 15 Best Zombie Games of All-Time list. 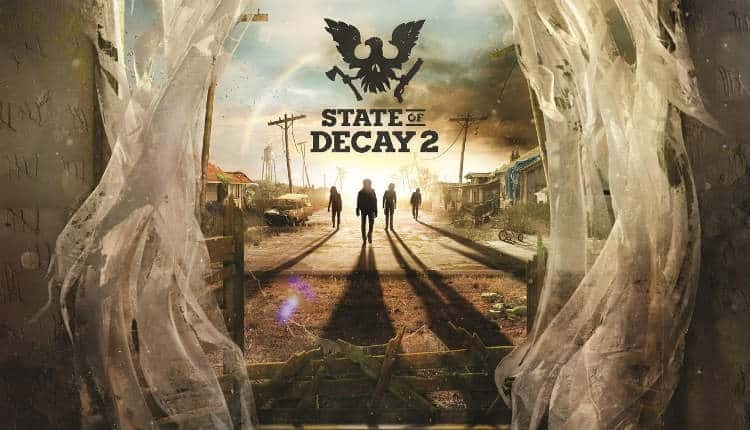 You can pre-order State of Decay 2 on Amazon or at Gamestop.